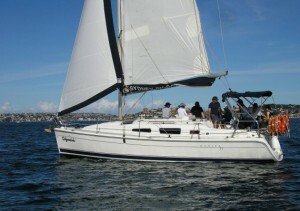 The Hunter 33 is a combination of comfort and performance. 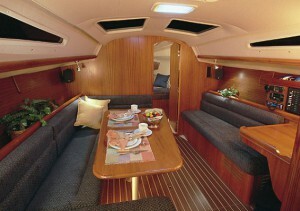 With the beam located well aft, there is more interior space, without sacrificing performance. 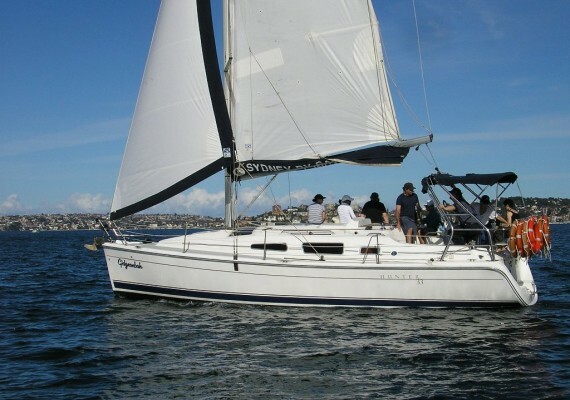 The deck is wide and workable without intrusions, and the cockpit can hold a crowd but is also set up to easily sail single handedly. Accommodations include a large aft master stateroom with plenty of storage. 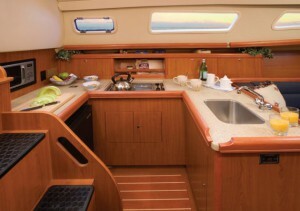 The galley is complete with a two-burner range, refrigeration and a deep dual basin stainless steel sink. Entertaining or feeding the crew is easy in a massive salon and guests will appreciate the privacy of the forward stateroom.